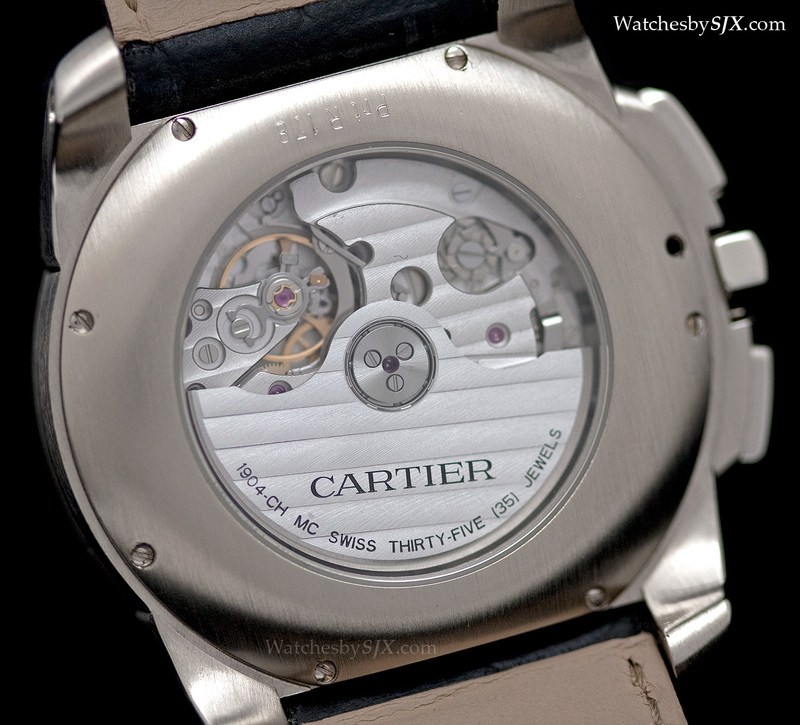 Next year Cartier will finally take the covers off the Calibre de Cartier Chronograph, the new entry level, in-house chronograph for Cartier, equipped with the new 1904CH MC automatic movement. 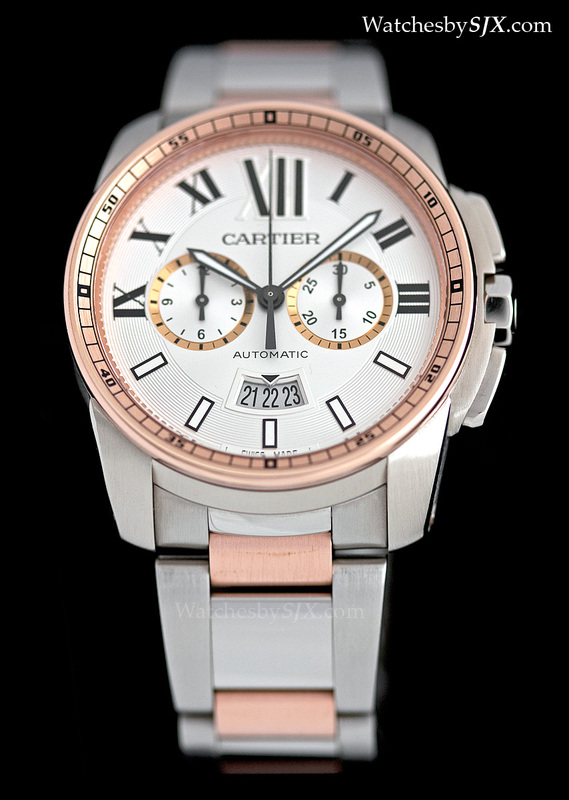 The Calibre de Cartier Chronograph is the brand’s first in-house chronograph in the entry level price segment. 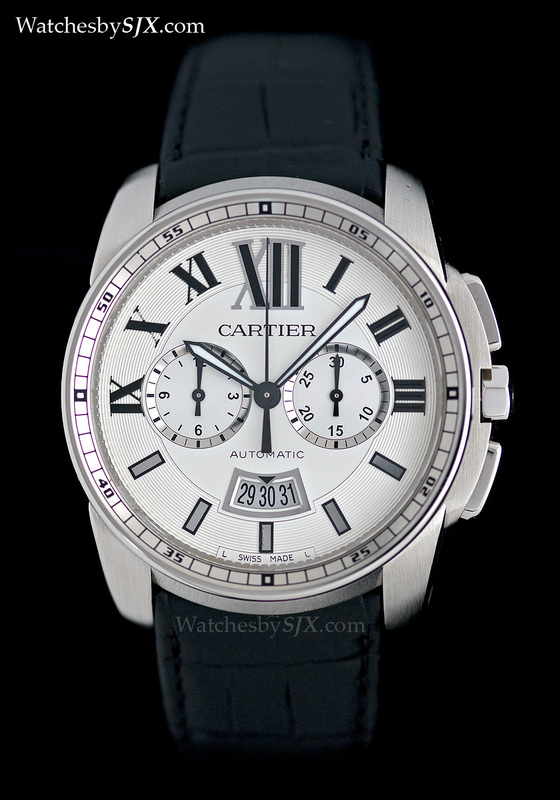 In contrast to its predecessors like the Santos 100 which used ETA calibres, the Calibre de Cartier Chronograph utilises the 1904CH MC movement. 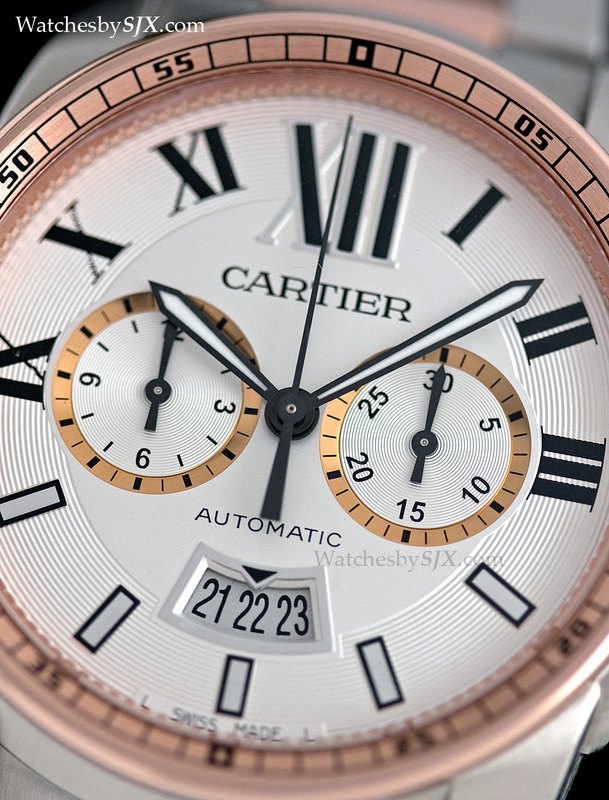 Equipped with two counters, for minutes and hours – a constant seconds was omitted for aesthetic reasons – the Calibre de Cartier chronograph uses the column wheel controlled 1904CH MC movement, which is based on the 1904 MC movement of the Calibre de Cartier automatic. 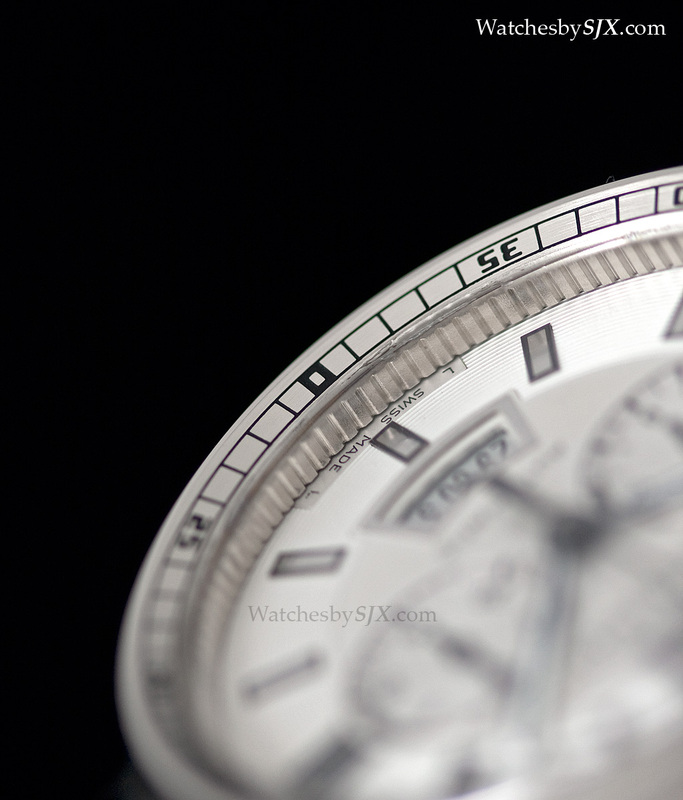 The 1904CH MC movement has several notable features that are increasingly standard for mid to high-end chronographs today: column wheel, vertical clutch and single reset hammer. Additionally, it also has double barrels as well as unidirectional, “magic lever” winding. The vertical clutch specifically ensures that the torque delivered to the escapement is constant, regardless of whether the chronograph is activated; that means there is no “chronograph drag” assocated with lateral coupling chronographs which causes amplitude to drop. 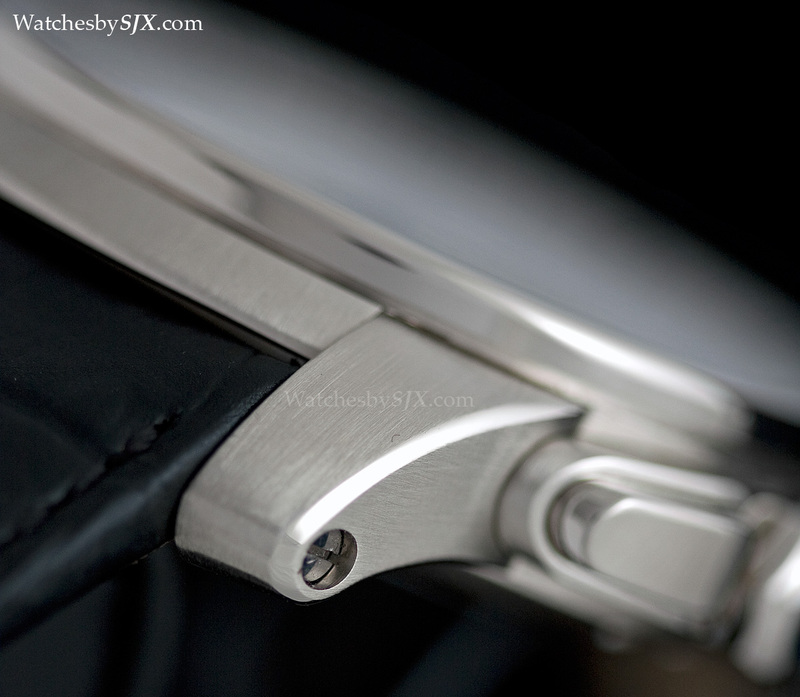 Another interesting notable feature, that is now commonly found in mid to high-end chronographs, is the linear reset hammer. 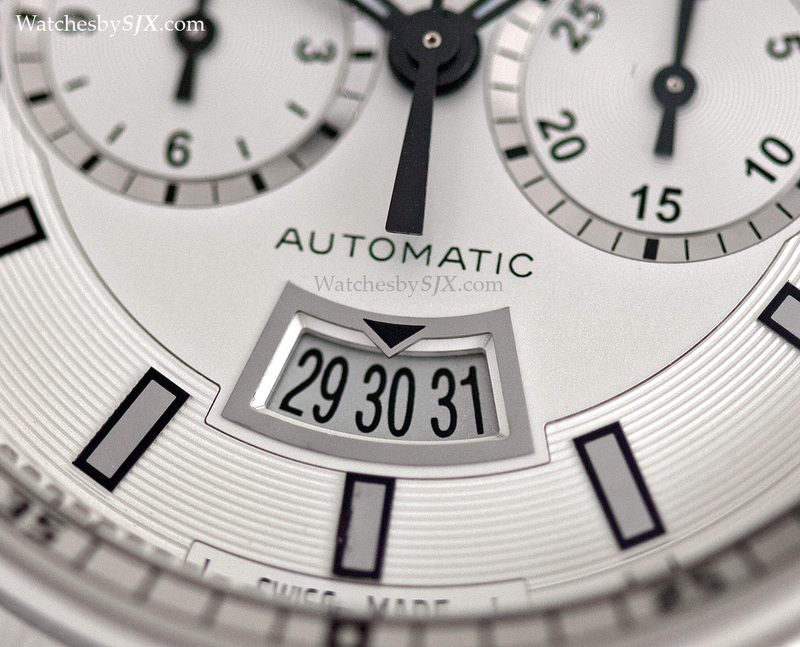 This gives a precise reset for all the chronograph subdials, since there is a single reset hammer for all the chronograph hands. In addition, the linear hammer is flexible – note the springs that are part of the hammer – which reduces wear. 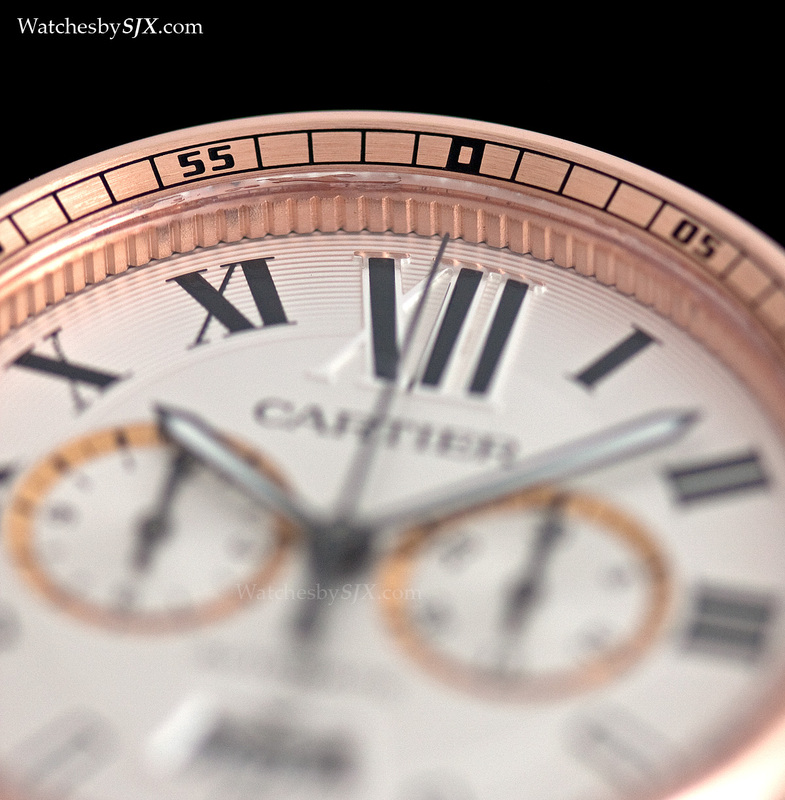 In terms of aesthetics, one key element is the minute scale engraved on the inner rim of the bezel. 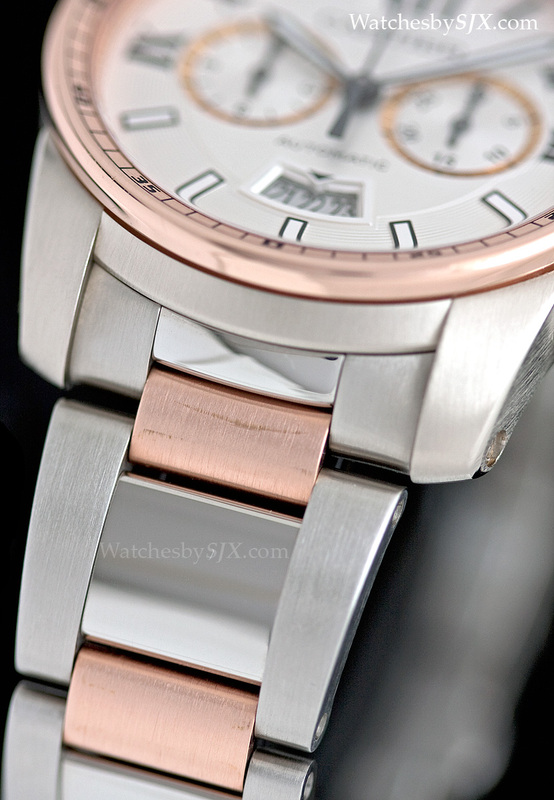 This gives the watch as a whole a much cleaner look, as compared to have it on the dial. 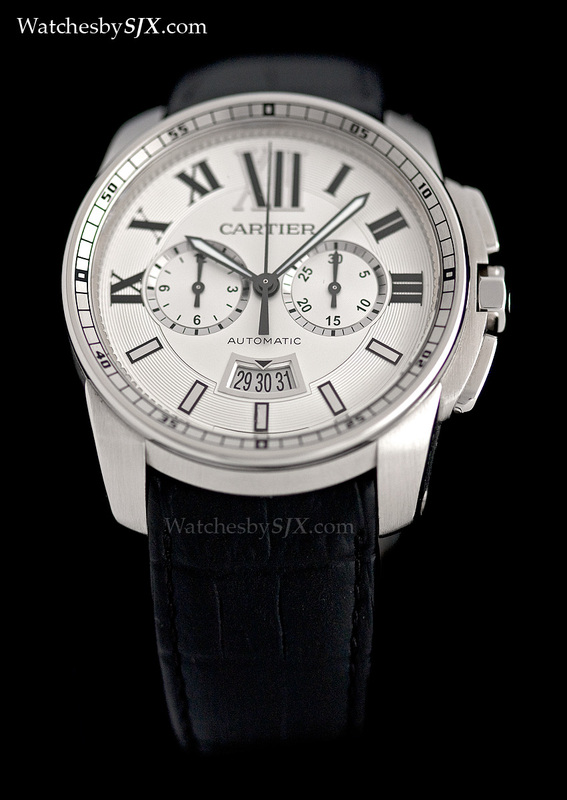 As with the original Calibre de Cartier Automatic and Cartier watches in general, the case finishing is excellent and amongst the best relative to its peers. 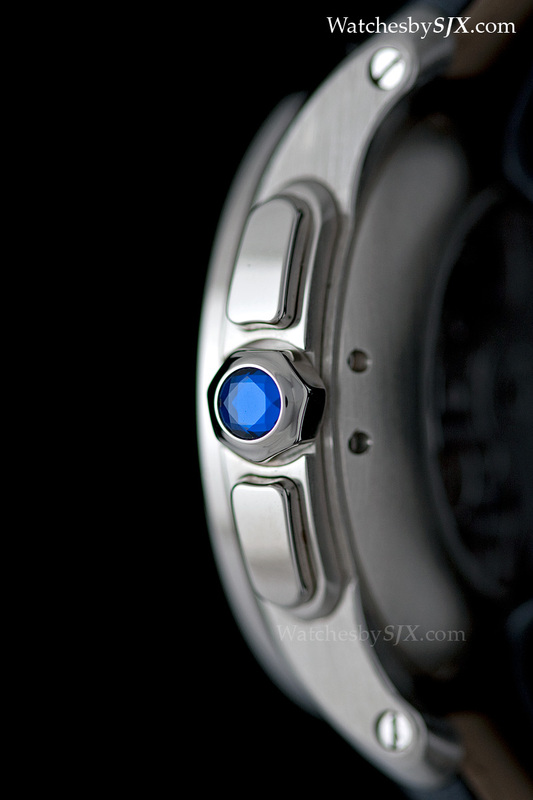 The lugs for instance have a wide and precisely polished bevel. 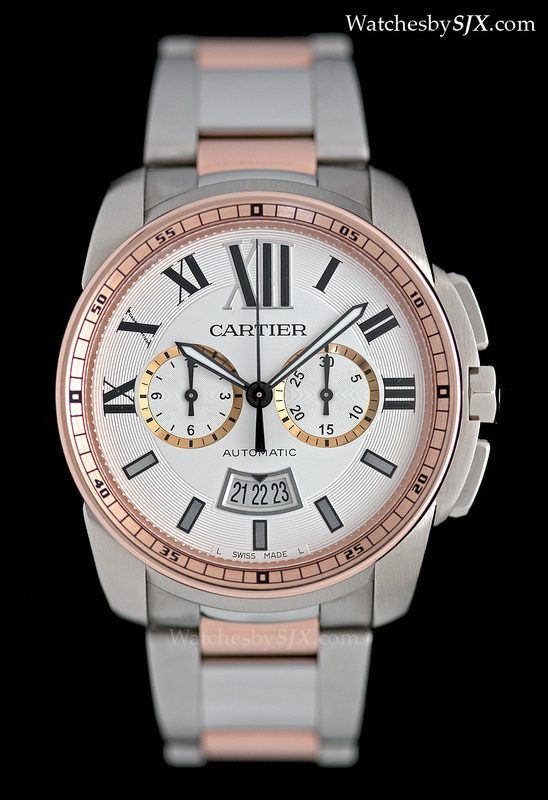 With a retail price starting at €7400 for the steel model on leather strap, the Calibre de Cartier chronograph is a competitive entrant into the sporty, in-house chronograph segment which is the stronghold of brands like Jaeger-LeCoultre, IWC, and even Omega and Rolex. The steel and gold on bracelet pictured above will sell for about €11,000.